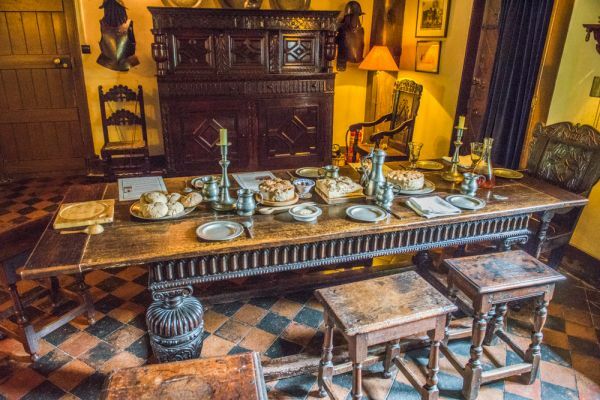 Moseley Old Hall is a historic Elizabethan timber-framed house that provided a hiding place for Charles II during his escape following the Battle of Worcester in 1651. 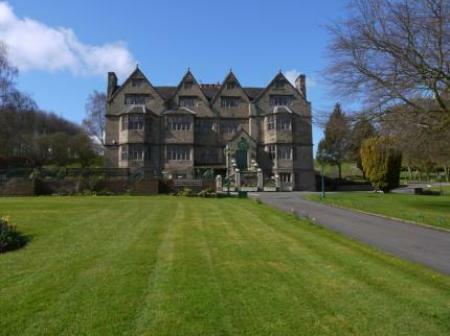 When Charles was fleeing from Parliamentary troops after the Battle, he sought refuge at Moseley Hall. Visitors can see the bed in which the fugitive prince slept and see an exhibit covering his eventful escape to freedom overseas. 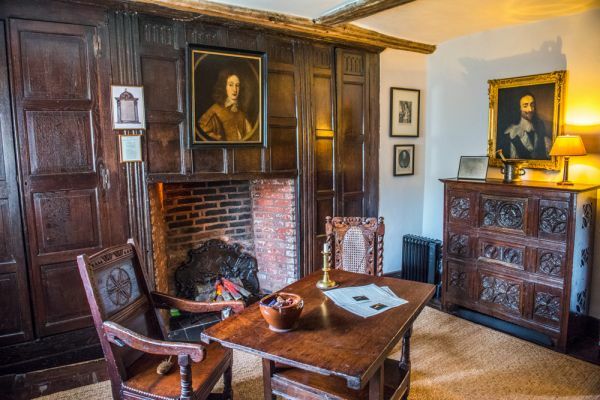 The three-storey timber house was built in 1600 but was later remodelled with brick cladding covering the timber beams, so that at first glance you do not get any sense of the building's true age. It stands within an attractive garden which has been renovated to appear as it was in the mid 17th century when King Charles was here, including a knot-garden and nut walk. The interiors are richly panelled, but the panelling conceals several hiding places meant to conceal priests in that time of religious turmoil. Charles spent a cramped night within one of these priest's holes. Though the Hall is close to the motorway, it is located on a narrow, leafy lane, seemingly lost in a time warp, where the modern world seems far away. Though you can explore the house and grounds on your own, we opted to take a guided tour led by an extremely knowledgeable - and very entertaining - volunteer guide tour. Our tour began outside the house, beside an innocuous wooden door. 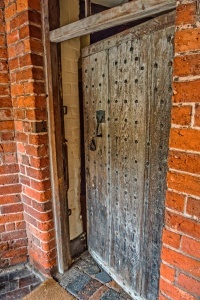 The reason for our starting place soon became apparent, for this was the same door by which Charles II entered the Hall in secret after his escape from Worcester. He would have touched the same weathered wood as he entered, and we were encouraged to do the same as we followed in his footsteps. 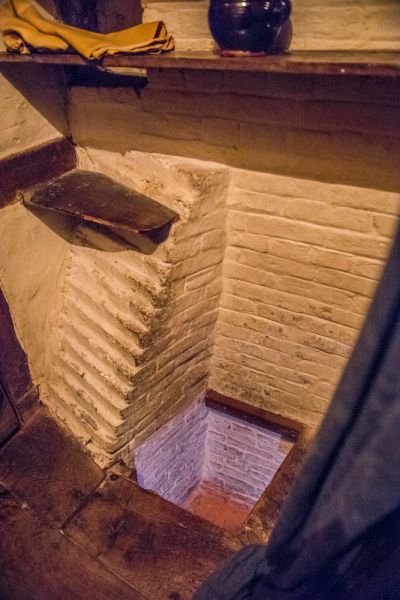 Our tour took in the room on the first floor where Charles slept, and the secret priest's hole under the floor of a passageway where Charles spent several cramped hours when his pursuers came to the door. Though we could not explore the actual hiding place, the National Trust has set up a box of the same size that we were allowed to crawl into to see for ourselves just how terribly uncomfortable the king-to-be would have been. Another highlight of the tour was the Catholic chapel on the top floor, under the eaves. 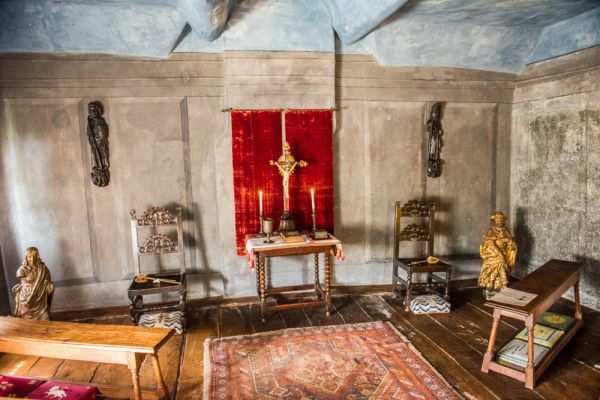 The chapel was established at a time when it was illegal to practice Catholicism, so the family had to be able to quickly sweep away any evidence of religious activities in the chamber if the authorities came to call. Our guide showed us the spot in the rafters where they would hide a bag containing a crucifix and other ceremonial items. The tour was simply outstanding, and we gained a wonderful insight not only into the brief episode when Charles stayed at Moseley Old Hall, but the history of the house and the people who lived there. 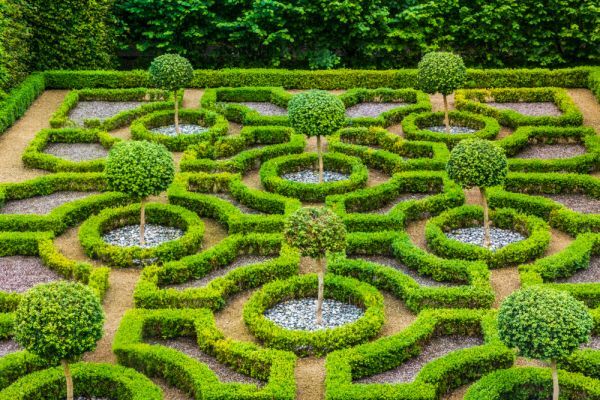 Outside the house, perhaps the most interesting feature is the knot garden. 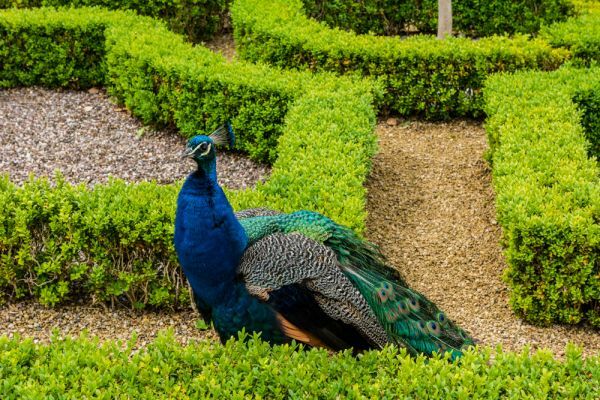 When we visited a peacock was wandering amid the carefully clipped topiary. Beside the garden is a nut walk, lined with nut trees and bushes, and beyond that is a woodland walk. 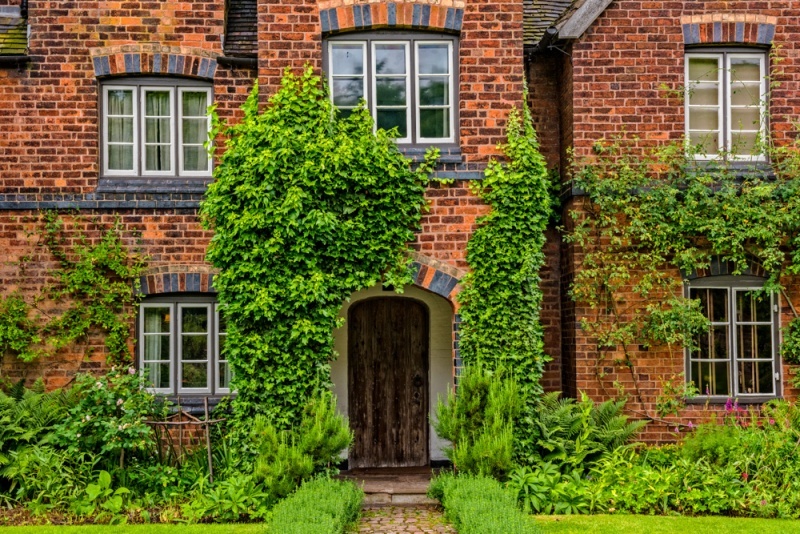 We thoroughly enjoyed our visit to Moseley; the house is a superb example of a timber-framed Tudor building, and the connection with King Charles' escape makes a visit to Moseley a fascinating experience. Location: From the M6 take junction 11 (southbound) or junction 1 (northbound).